Garage Door Repair Belmont is a full service garage door company. We are proud to help the Belmont community to deal with their garage door needs. We are certified to work on major manufacturer brands such as Craftsman, Sears, and Marantec. Let us help you today. We are a company that provides emergency garage door service. You can request a quote or ask for assistance daily. The best part is, we are even available during holidays. We care about clients, and we understand that mishaps do not always happen during the traditional workday. 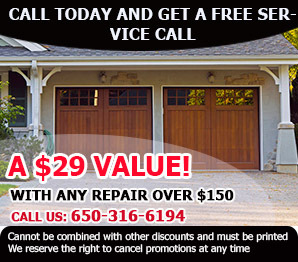 In addition, we offer same day garage door service repair. A malfunctioning garage door can be extremely inconvenient, but we guarantee that we will fix your problems quickly and efficiently. We firmly believe that it is essential to select a reliable and trustworthy garage door service agency. Our company is licensed to conduct a variety of repair and maintenance services. Within our top services, we offer garage door installation and replacement, door adjustments, cable and track repair, spring replacement, and garage door opener repair. Whether your garage door motor stops functioning, your door dislodges from its track, or if the door stops opening or closing, we can help! We are available to assist you with installations, repairs, and renovations. In short, we can take care of all your garage door needs. Garage door maintenance can help prevent more serious problems from developing. We offer a maintenance service in which we lubricate and clean all of your garage door mechanisms such as your garage door springs, hinges, motor, and track. Note that consistent maintenance can limit wear and tear on your garage door. It keeps it working at top performance for longer. Our team will also inspect your garage door system for any weakness or flaws. We often find weak screws, springs, and hinges while performing this inspection. Our company will help you discover any damages to your garage door system or mechanisms. Please contact us immediately if you notice any variation in your garage door performance. If you put off a repair, it could severely damage the rest of your garage door parts. Truth is, a malfunctioning piece could cause more damage to the door increasing your repair bill. Let us know if your garage door has fraying cables, you motor begins making strange noises, if you see rust, if the opener light blinks, or if the garage door needs adjustment. You can select a garage door out of a variety of materials, including steel, carriage, custom wood, or glass. We also stock sectional and one piece doors. We also carry all types of openers and garage door accessories. 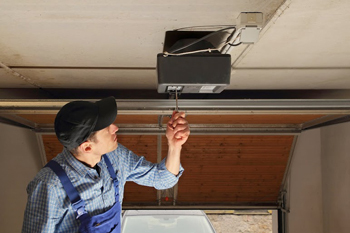 Garage Door Repair Belmont only employs trained, licensed technicians. Therefore, we guarantee that the job will be finished properly the first time. Our technicians carry all their supplies on their truck so they only have to make one trip to your home. Clients are at no risk when they hire our company. Our company is properly insured. This protects you against any injuries or property damage that could occur during our services. Your security and peace of mind is very important to us. Let us deal with all your garage door installations, repairs, and maintenance. Customer satisfaction is 100 % guaranteed.